A lovely gift set to give as a present or to treat yourself to. The mild shower gel and scrubbing sponge will cleanse and smoothen your skin. The body lotion provides excellent after-shower nurturing. 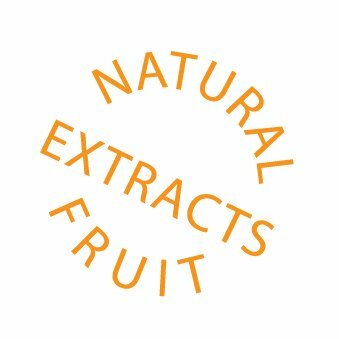 Fruit Extracts raspberry products contain 100% natural and concentrated fruit extracts from the fruit itself. Naturally fresh! Ensure the skin is moist by showering. Put an amount of Greenland Fruit Extracts shower gel on your hand or body mop and soap up the entire body with the shower gel. Wait a moment for the shower gel to be absorbed and then rinse off the skin thoroughly with lukewarm water. 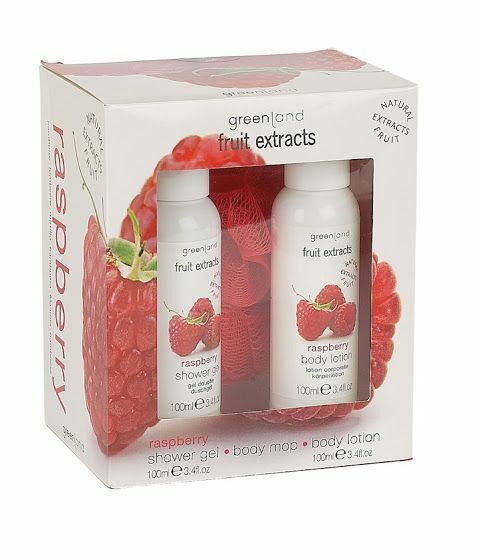 After showering apply Greenland Fruit emotions body lotion to a clean skin. Spread the body lotion evenly over the body and massage gently. Ensure the body lotion is fully absorbed by the skin. For extremely dry parts of skin additional body lotion can be applied.